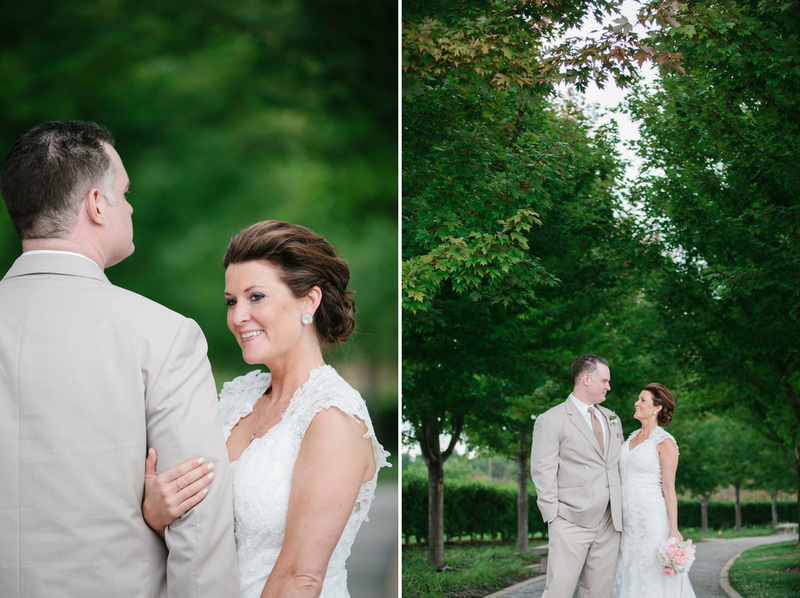 Stephanie and Joe had an incredible wedding, full of personality and with tons of lovingly made details. 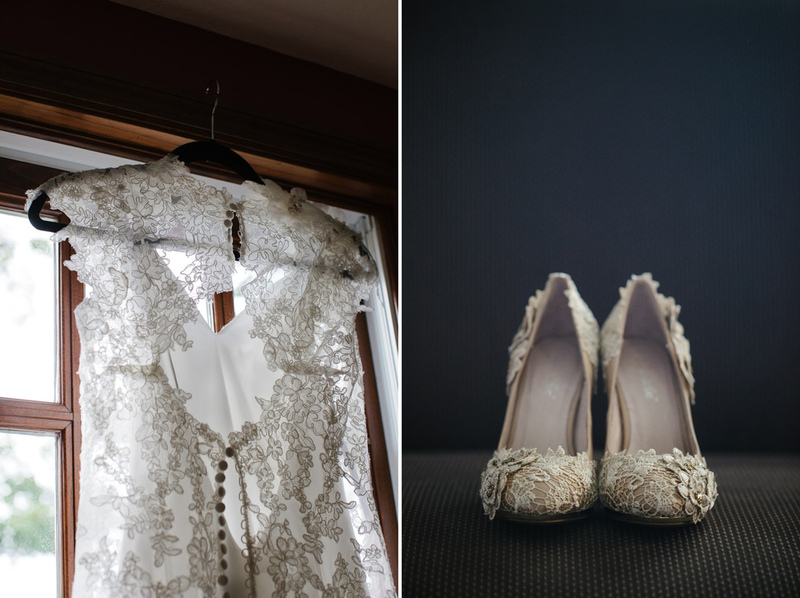 Stephanie was head-to-toe grace and beauty, from her elegant updo to her lace applique shoes. She carried a stunning bouquet of fabric flowers (designed by the amazing Maggie at Peacock Blooms). Around her bouquet, she carried her grandmother's rosary. The bridesmaids wore long gowns in shades of blush and champagne, and carried bouquets made from baby's breath. Three adorable flower girls in white dresses and lace headbands carried baby's breath poms. Joe and his groomsmen wore tan suits with coffee ties, which perfectly complemented the burlap and lace decor spread throughout the day. 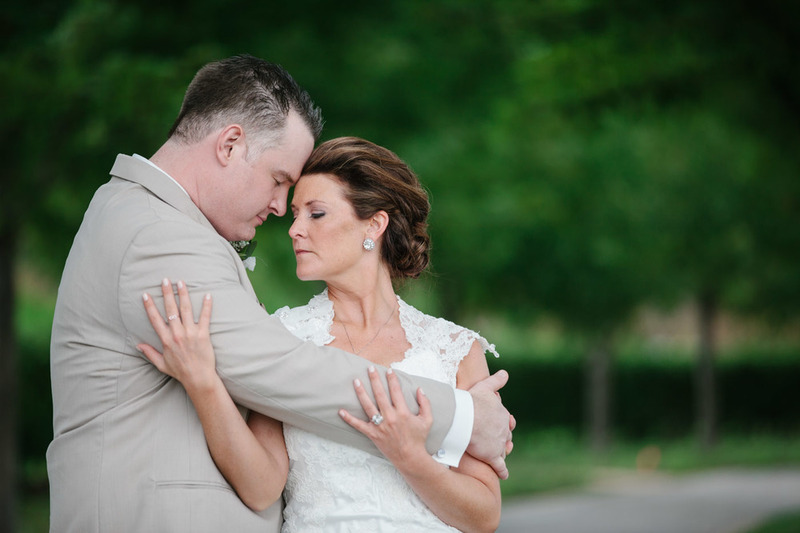 The light and airy accents paired perfectly, and their St. Louis Muny wedding photography is some of our favorite. 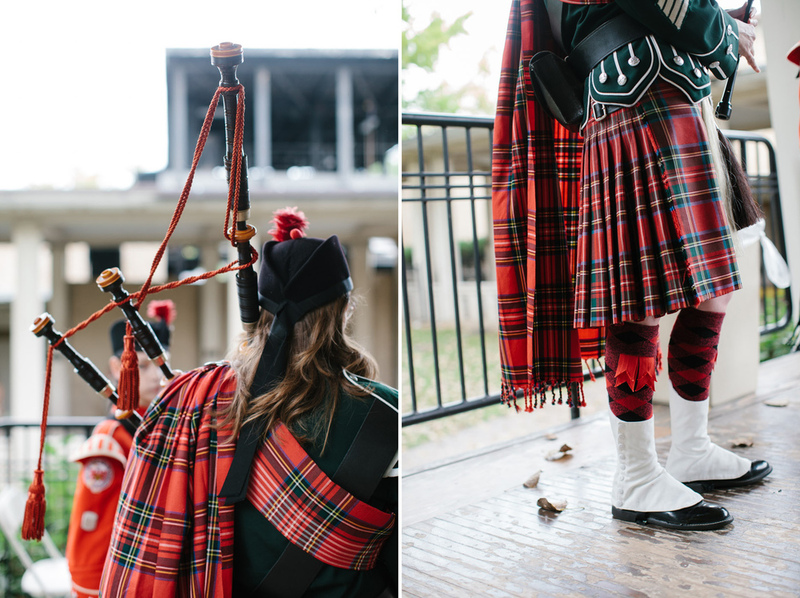 For their ceremony at the Muny, Stephanie walked down the aisle to bagpipers, and a good friend officiated the ceremony. 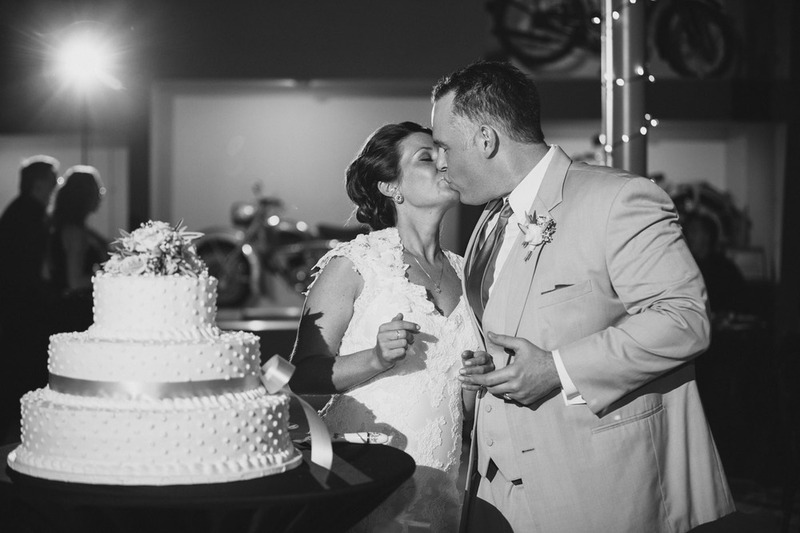 Their reception was held at the Moto Museum, and during cocktail hour, their guests mingled among classic and vintage bikes. The band, EXIT 180, kept everyone dancing and hanging out until well into the evening. 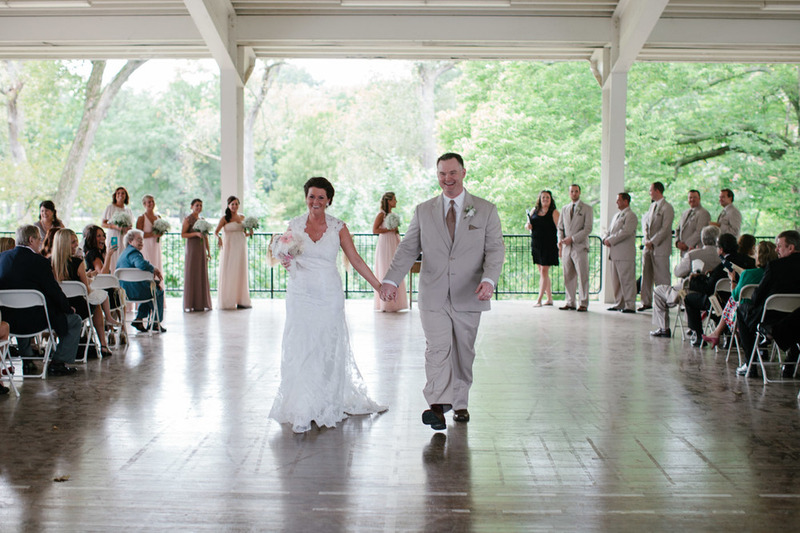 It was a beautiful wedding (definitely reflected Stephanie's impeccable taste! ), but more importantly, it was a reflection of them as a couple. 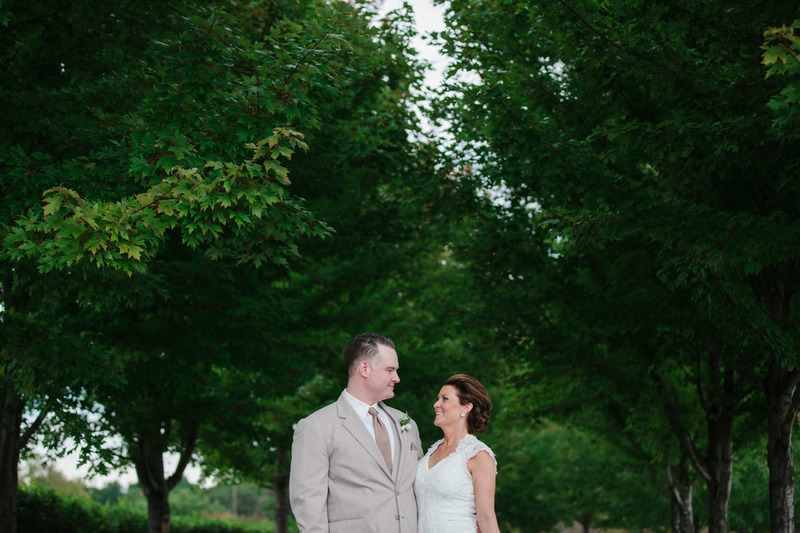 We are so thankful to have been a part of this wedding (and that the rain held off! 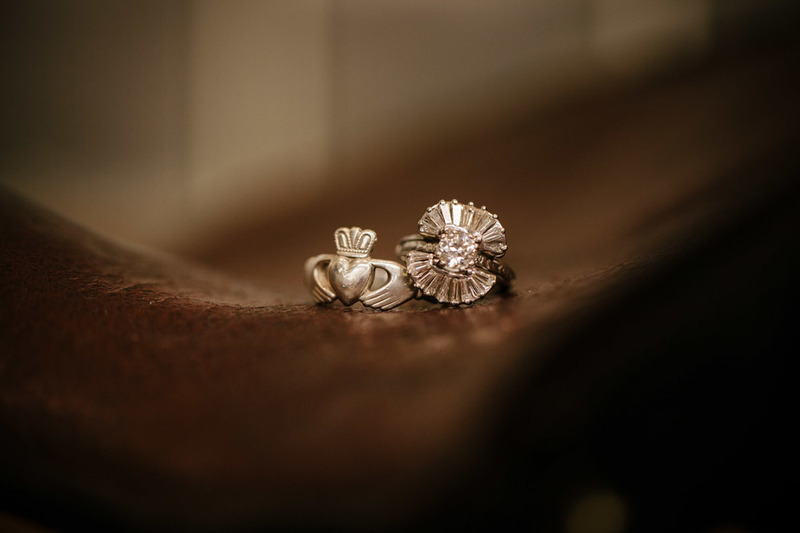 ), and we are excited to share some of our favorite photos.